Maple Glen Court Express Delivery Home Available! 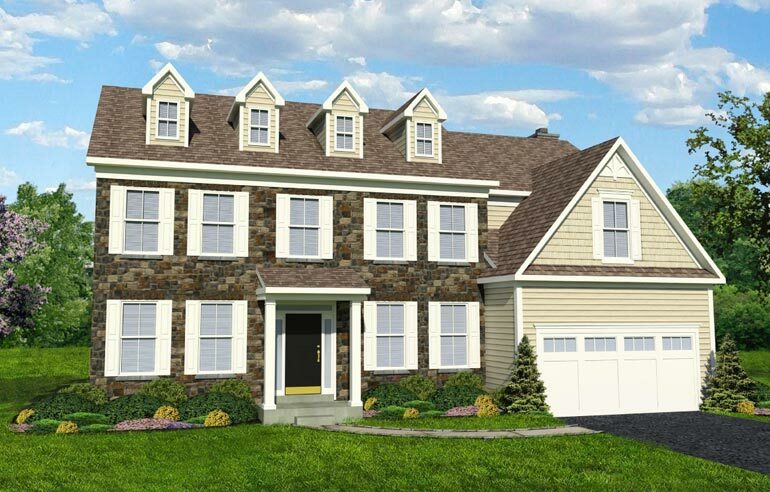 If you’re looking for luxury but hate to wait, we have a home for you at Maple Glen Court, in Upper Dublin! Sal Paone Builders is constructing one Express Delivery home and it will be ready to welcome a buyer by this coming summer. This is an exclusive opportunity to be part of a small community of just 10 custom singles, each distinguished by meticulously crafted details and wonderful amenities. Our Express Delivery home is the gorgeous Hampton model, featuring 4 bedrooms, 2 ½ baths, a family room with a fireplace and a spacious owner’s suite. But, don’t wait. The spring selling season is heating up – and this home won’t be available for long. Contact Sal Paone Builders or Vanguard Realty Associates to learn more. This entry was posted on Thursday, March 24th, 2016 at 1:00 pm and is filed under Home Buyers, Maple Glenn Court, Vanguard Real Estate. You can follow any responses to this entry through the RSS 2.0 feed. You can leave a response, or trackback from your own site.